The area to the north of Mt. Bandai-san in Bandai-kogen Highlands that lies in the northern part of Fukushima Prefecture is called Ura-Bandai, and is part of Bandai-Asahi National Park. The lava from the great eruption of Mt. Bandai-san in 1888 flowed into the Nagase-gawa River upstream and created many different sized ponds and lakes, such as Lake Hibara-ko, Lake Akimoto-ko, Lake Onogawa-ko as well as Nakase-numa Pond and Oguni-numa Pond, and marsh areas. Among the over 100 ponds and lakes that exist in the Bandai-kogen Highlands area, perhaps the most fascinating is the group of Goshiki-numa (five-colored ponds) and lakes, where you can see the wonder of volcanic material dissolving in the water, with time and sunlight changing the color of the water from shades of green to whitish blue and then to reddish blue. A promenade allows visitors to tour this unique area with its 40 different lakes and ponds, like Bishamon-numa, Aka-numa, Benten-numa, Ao-numa, Ruri-numa, and Yanagi-numa, a walk that takes about an hour. The area to the south of Mt. Bandai-san that lies in the northern part of Fukushima Prefecture is called Omote-Bandai, and is part of Bandai-Asahi National Park. From Omote- Bandai, Mt. Bandai-san is commanded beautifully like Mt. Fuji, and it is called Aizu Fuji. 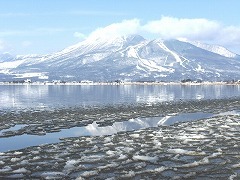 Lake Inawashiro-ko is foot of the mountain and these sites are developed as resort area including spa and skiing ground in winter. The white building of Villa Inawashiro harmonizes with the nature of four seasons in Urabandai. 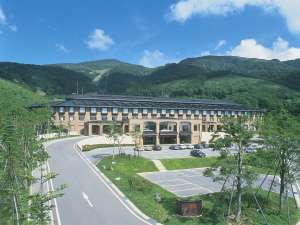 Urabandai is able to enjoy year-round, skiing in winter, sightseeing of Urabandai and Aizu- Wakamatsu in spring and autumn and the base of camping in summer. 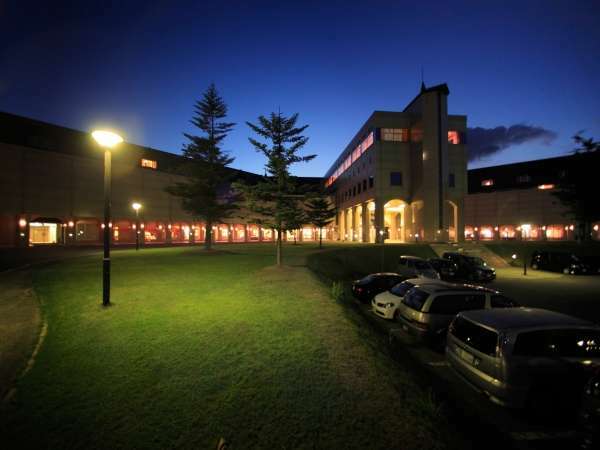 We welcome the guests at European palace style building and delicious dishes with strictly selected ingredients to provide relaxing and refreshing time. 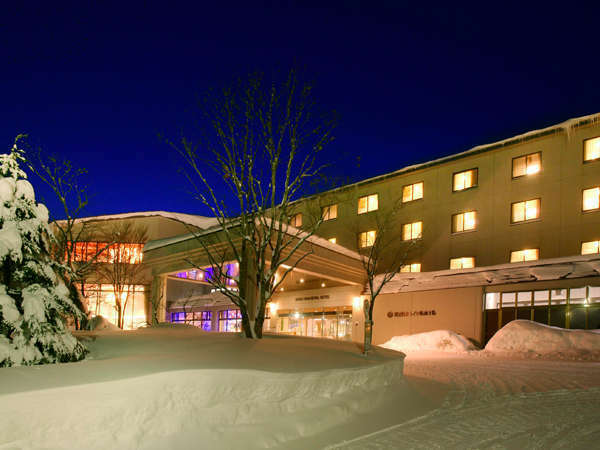 You can enjoy fresh greenery field in spring, colorful leaves in autumn and ski in winter. We feature natural hot spring at large open-air bath in the Japanese garden. Please relax, watching the seasonal scenery at the bath. 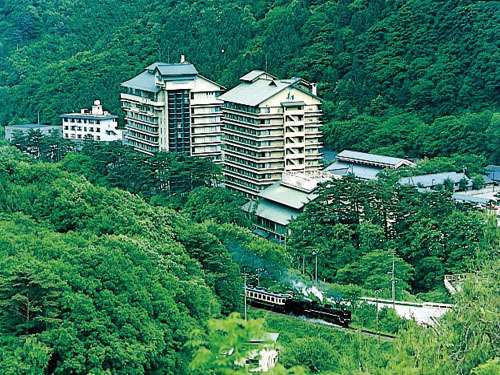 Ryokan Tamagoyu hasfounded 140 yeras ago and located at the gateway to Bandai Azuma Skyline. From the vast naural garden, the abundant of sulfur springs gushes and it has special virtue in neuralgia, gastroenteric disorder and skin disease. 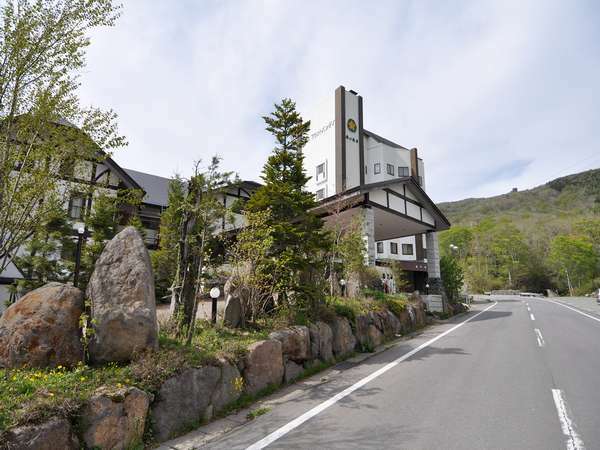 Lake Side Hotel Minatoya is located in Bandai Asahi National Park, on the high plateau with Mt.Aizu Bandai in the background and facing to Inawashiro lake in front. 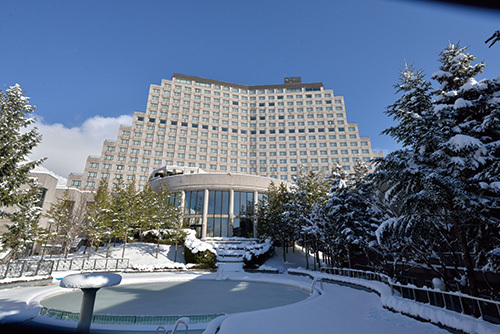 This is the hotel that is remembered in connection with Dr. Hideyo Noguchi.